As a business owner, you have probably heard of data encryption. You might work with it and know what it is and what it does. What you might not know is how vital it can be to your company’s livelihood and security. Encryption works to encode your data so that it cannot be read without a password. It surrounds your data with a robust layer of security – more than what simple password protection could ever offer. This is essential to many different organizations, especially those who are regulated by HIPAA, GLBA, or FNRA. Hard Drives – Your hard drive no doubt holds quite a bit of data, including confidential business information and sensitive client data. An encrypted hard drive will massively reduce the risk of data theft or corruption, keeping your most vital information safe. Laptops – Unlike desktop computers, laptops are easy to lose or damage and can also be an easy target for thieves. However, when content on business laptops is encrypted, the loss to your company is minimized greatly. That is why many government regulators and insurance companies are persuading organizations to encrypt any data that may leave their premises. Individual Files – Sometimes not every single file needs to be encrypted. Instead, businesses can encrypt file-by-file on an as-needed basis to protect sensitive data. File Transfers – When you send files over an unsecured wired or wireless network, you can unknowingly be exposing your sensitive data to thieves. Encryption provides an extra layer of security, even on a secured network. Removable Data – How many times have you or someone you know lost a thumb drive or memory stick? While these portable devices are quite convenient, they can also be easy to lose and are also susceptible to theft. Many portable media devices now are available with built-in encryption support, so encrypting your data becomes easier than ever. Email – Unencrypted email is very dangerous to your business. If emails become compromised, it can spell trouble for your company. 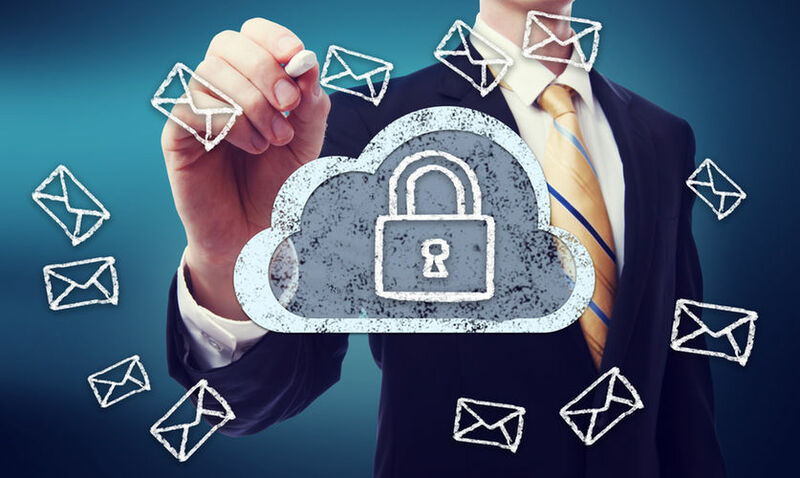 Secure email solutions use encryption to secure your emails’ contents as it transmits and arrives in the recipient’s mailbox. Instant Messaging – More and more companies are using instant messaging to communicate confidential business information amongst colleagues. While this is convenient, it can become a serious liability for businesses should any information become compromised. Encryption helps ensure secure transmissions between parties, protecting any confidential information from would-be thieves. Encryption is certainly an effective security measure to keep your data safe, but it can only go so far. Trust the industry experts at Network Specialists in order to keep your business safe whenever disaster strikes. We are dedicated to serving your organization’s current IT needs. Learn more about us by calling (314) 531-2840 or visiting us at !